James Dickson Innes is best known as one of the three men who made up the Arenig school of painters. A hundred years ago, an Australian called Derwent Lees, the celebrated painter Augustus John and a Welshman named James Dickson Innes were roaming north Wales, pioneering a revolutionary style of landscape painting. Lead by Innes, they would roam the hills and only when the light was right would they stop and furiously slap paint onto boards in order to capture the fleeting scene. This gruelling lifestyle took both mental and physical toll on Innes, who later died of tuberculosis at the age of 27. 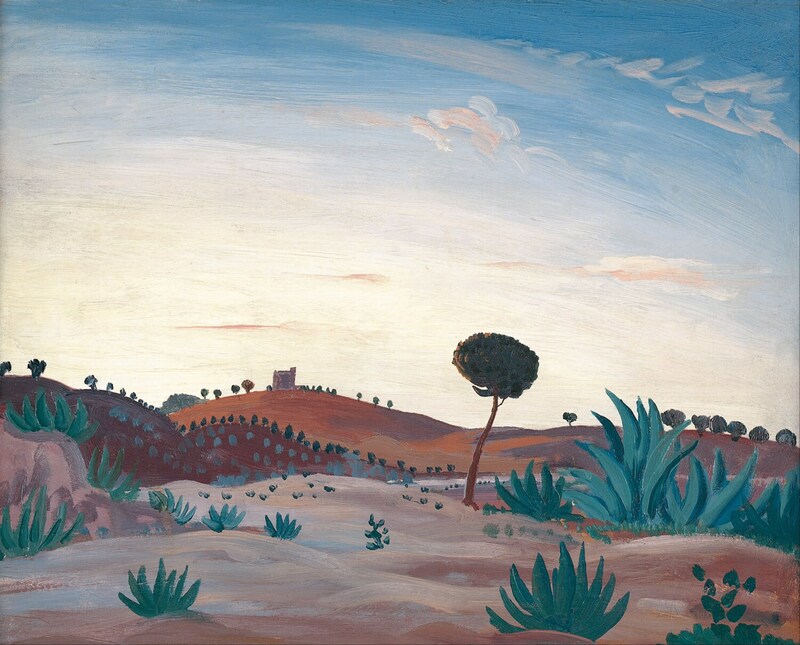 'Spanish Landscape' was created shortly before his death and it is in stark contrast to the scenes he captured on the moors. Perhaps the paintings warmth gave the artist some respite before his death.